Our new giveaway has started and almost forgot to post the details here on Candle Scoop. The prize is a gorgeous Wood Wick candle from Virginia Gift Brands. The scent – Love. Isn’t the candle gorgeous? The fragrance is Vanilla Bean and it smells warm and delicious!! Like a smooth and bakery vanilla. Virginia Gift Brands sent us 5 of these beauties to give away and the first one is going this week to one lucky winner. Who will it be? Entries will be pretty simple. 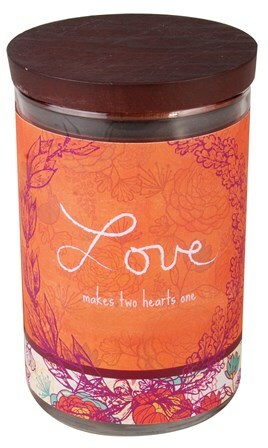 Go to Virginia Gift Brands site and pick a candle you would love to try. There are so many to choose from. Post back on our giveaway page on Candlefind letting us know which candle and why. Who knows, maybe we’ll add that to our giveaway list. Each post counts as one entry. You can post as many fragrances/candles as you like, just make sure they’re not back to back – meaning – let someone post before and after you. That’s it! Easy!! Winner will be chosen on March 7th using Random.org.